"An apple a day keeps the doctor away". Believe it or not the Welsh first came up with this well known saying in 1866. I've decided to check this saying out...is it true? If apples are so good for you then why not enjoy a terrifically good apple pudding too?
" Pudding is important for our wellbeing, our soul. You see, pudding is not a treat but a necessity. It is there to heal and comfort, to cosset and hug. Pudding is not food, it is medicine". Auckland's Parnell French Market where I have found several unusual apple varieties. Pigeonette apples originated in France in 1755 and are delicious. They have dense flesh and are not quite as sharp as a Granny Smith. The Pigeonette is a little more like the Sturmer Pippin. 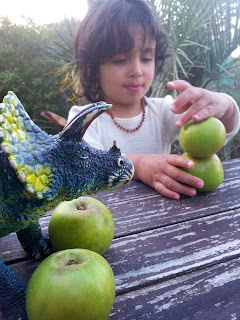 Beau our "apple eater" certainly approves of them. I used these apples to make a delicious pudding. Eve's Pudding comes from England, the land of comforting puddings. It's so called because it's a pudding that Eve would find difficult to resist. It's a perfect marriage between a Victoria sponge and lots of apple. 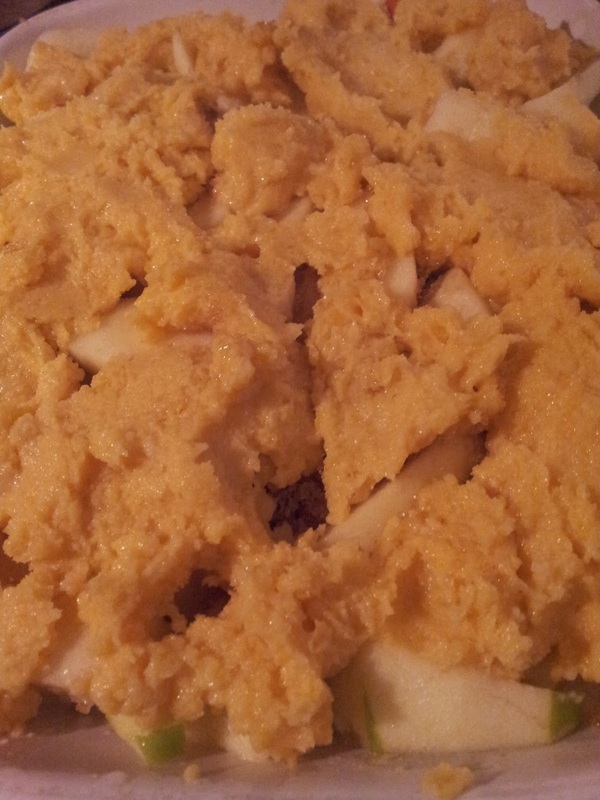 The cake mix and the apple cook together - no pre-cooking of the apple is required. I decided not to peel the apples. I hear Beau call, "Can I help?" He loves to pull a chair up to help with the cooking. 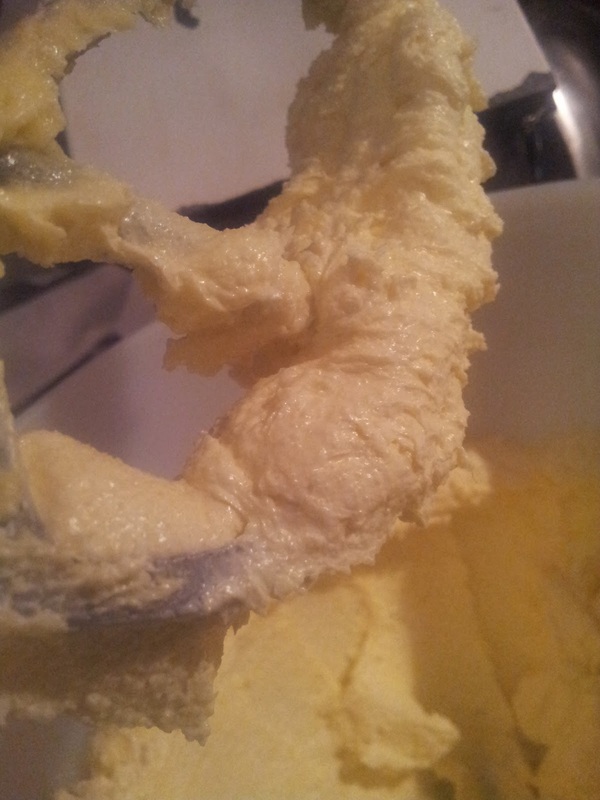 It's not a difficult pudding to make but it does help and save you time if you have a cake mixer. 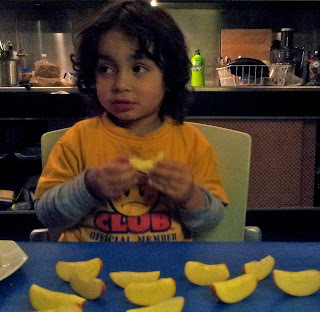 First of all slice up the apples - here I peeled them (for a reason you will see later). Also try the recipe not peeling the apples. Like many fruits and vegetables the skin contains the most goodness, but you have to make sure the apples are not waxed. Definitely peel them if they are. For a big family sized Eve's Pudding to serve around 8 you will need 6-8 apples and will need to double the cake recipe below. You can create an apple mix using different varieties. I usually chop up enough apples to half fill the baking dish and this recipe will use 3-4 apples, all depends on the size of apples. The secret to a good sponge cake is to beat the butter and sugar until pale and fluffy. 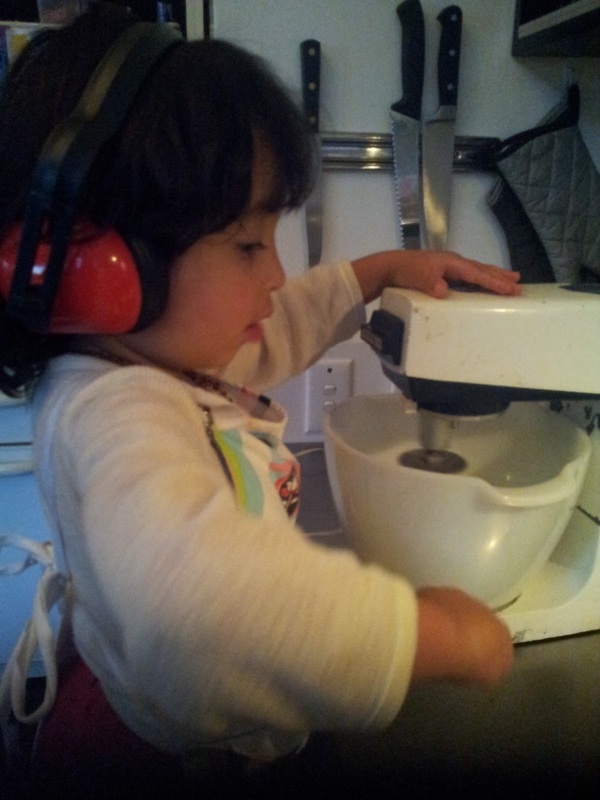 You can do this by hand but a cake mixer makes the job a whole lot easier. Next add the eggs one at a time, beating after each addition. If it looks like the mix will curdle don't worry once you add the flour it will even out. You can also add a tbsp of flour after each egg and this often stops the curdling, as does using eggs at room temperature. Once you have beaten in the eggs, add the sifted flour. Fold in until the flour is just mixed. Don't stir if you want to keep the cake light. didn't completely cover the apples - but as it rises, it covers the fruit. Now spread out the apples in your chosen baking dish. 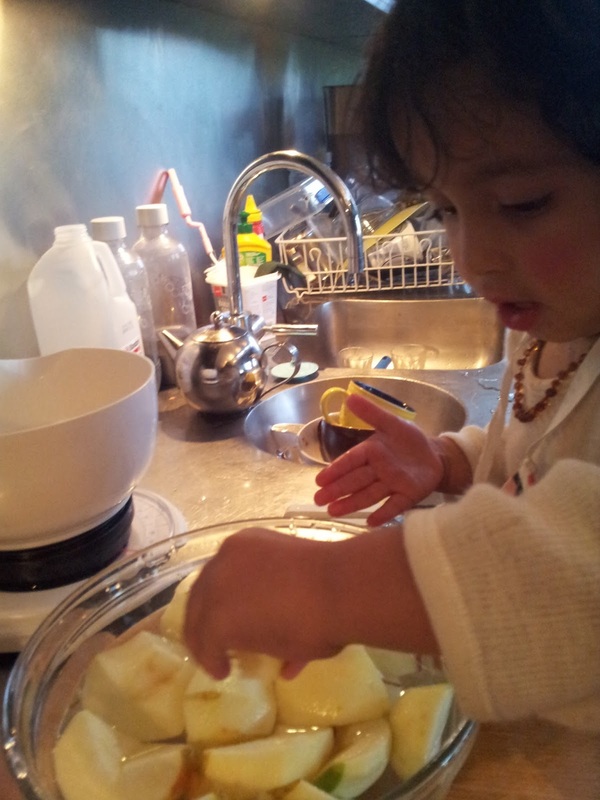 If using cooking apples, you could sprinkle a couple of tbsp of brown sugar and about 1/4 cup of water over the fruit . 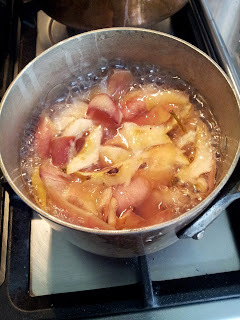 I decided to use a cup of apple stock (mentioned below) instead to ensure the apples would remain juicy. If you think the mix is a little too thick to spread then add 1 spoon of boiling water and fold through the cake mix- this will soften the mix and allow it to spread more easily. Cook in an oven for 25-35 minutes at 180C. 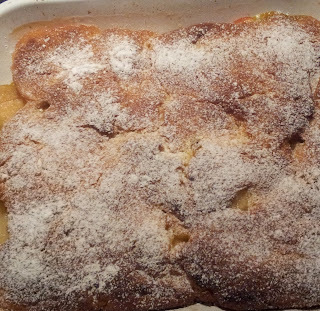 Dust with icing sugar and serve with cream or ice cream. My chef son Gus let me into the secret of making apple stock from the peelings and cores of apples. Just boil them up with a little added sugar to preserve the liquid. 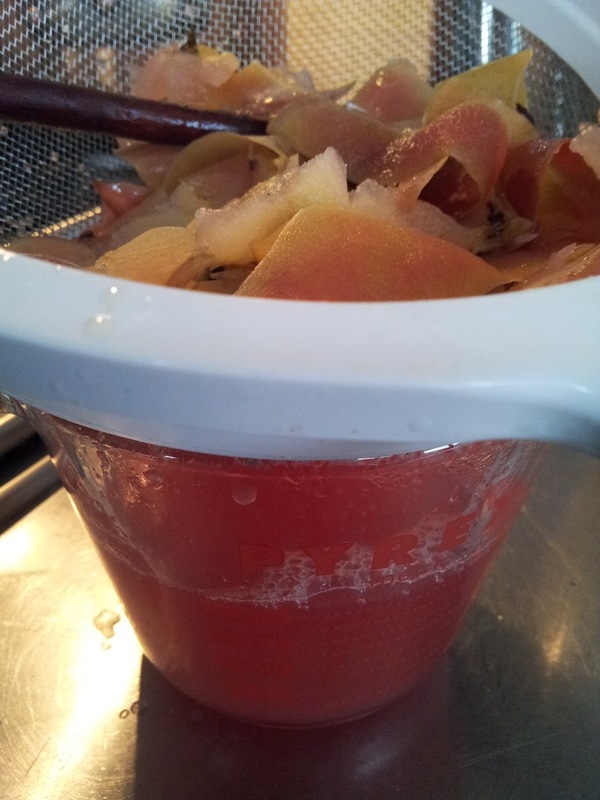 He uses the stock to cover prepared cooked apple that can be quickly used for apple desserts. The stock helps apples to keep for longer. 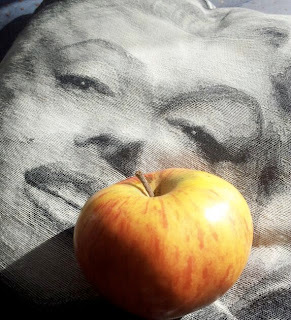 I like to avoid waste in the kitchen and after reading about the goodies in apple peel, I have found other uses for apple stock in the kitchen. I use it as a base to cook another batch of apple - an apple compote if you want to give it a flash name. I also have soaked porridge oats overnight in the stock to either cook up as porridge or as the key ingredient in oat pancakes. Beau thinks it's good fun eating up the boats. Beau isn't too keen on Eve's pudding. He prefers his apples raw. I am really pleased because that way, he receives maximum goodness from the apple. 2. A nutrient in apples called boron can promote bone strength and brain health. 3. You must chew an apple and since chewing takes time, your body can register that is it full, without the need to fill up on empty calories. It's natural sweeteners enter the bloodstream gradually, ensuring your blood sugar and insulin levels remain constant and steady. You feel full for longer. 8. Because of their high water content, apples are cooling and moistening and aid in reducing fever. Simply grate them and serve them to feverish patients. 9. 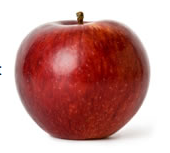 Easy on the digestion, apples contain malic and tartaric acids that inhibit fermentation in the intestines. 10. Malic acid (the acid that makes an apple tart or sour) will cleanse the mouth of bacteria and the mouthwash and toothpaste industry use this acid in their products for that very reason. 11. Apples contain polyphenols, powerful antioxidants that reduce artery clogging plague. However, the key is in the peel. Apple peel contains two to six times the polyphenols as the flesh. 12. The vitamin C in apples assists in protecting the immune system, and make your body more resistant to a variety of diseases. It's also effective in preventing skin wrinkling...now that's an incentive! gave me a beautiful pale pink liquid. Eating an apple a day in winter is a pleasure, but later in the year when they are not so crunchy then grate them into your cereal or cook them and keep them in the apple stock in the fridge. The apple is one fruit that does need to be kept chilled or it will mush up very quickly. 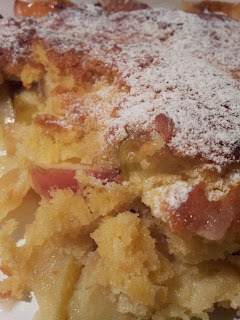 To find out what else you can do with apples revisit my posting "Southern Apple Meets Northland Quince". Apples are just one of the every day available foods that make up Nature's medicine chest. A longer version of the wise Welsh saying is: "Eat an apple upon going to bed, and you'll keep the doctor from earning his bread". So what do you say...are you keen to try it? We have been greatly encouraged to eat apples ourselves by the youngest member of the household, 3 year old Beau.